Home » Communication » What Problem? 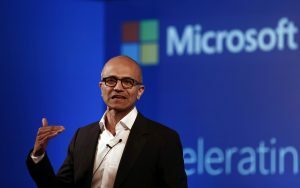 Microsoft CEO Satya Nadella met with Lenovo last year and quizzed the company over how it was responding to Skylake problems. “Lenovo was confused,” claims Thurrott. “No one was having any issues.” It appears Microsoft’s own problems were the result of the company’s unique approach to the Surface Book, with custom firmware and drivers. While other, more experienced, hardware makers were able to respond quickly, Microsoft’s delay impacted reliability. The Verge, August 14, 2017 Leaked Microsoft memo reveals high Surface Book return rates. For years, our mobile phone call drop rate wasn’t the greatest but we were sure it was due to the networks. Then one year a major operator opened up their data to us and we finally saw why we had such bad drop rates and we then fixed them. We then had some of the best call quality in the market. But until then we had kept telling the CEO that it was the quality of the networks and not of our product! Microsoft, in my experience, was one of those companies that were expert at blaming someone else. It always sounded convincing and they got the whole community believing and repeating what they claimed. Yet actual experience, such as using multiple PCs and OS versions, trying different driver and software versions clearly suggested that it was Microsoft software. Then, suddenly, we’d get an update or new version from Microsoft and the problem would just disappear. Unfortunately, that didn’t happen as often as we would have liked. One could not tell if the most senior management knew what was going on or if the staff was misleading management. In the case of Microsoft here, it looks like the CEO himself thought it was not their problem. Some company cultures take a long time to change, if they ever do, regardless of senior management. What problems is your project having that you suspect is really us and not because of someone else? «What Value Do You Bring To Your Project?